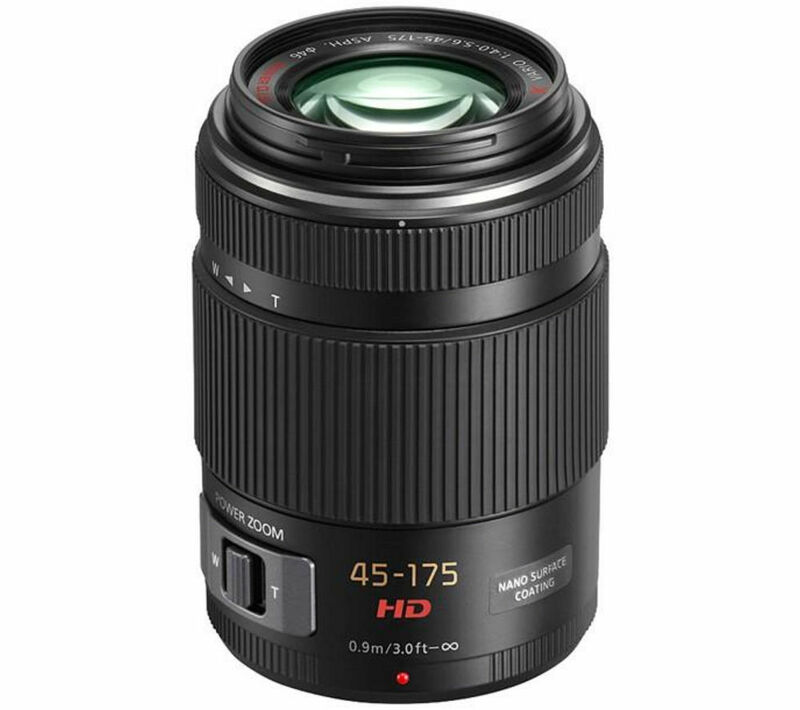 The Panasonic LUMIX G X VARIO PZ 45-175 mm f/4-5.6 ASPH POWER O.I.S. Telephoto Zoom Lens is the world's first digital interchangeable power zoom lens, offering new levels of subject proximity and clarity. This new premium ‘X' lens brand from Lumix G Micro Systems is a cutting-edge interchangeable lens with electric-powered zoom operation compliant with the Micro Four Thirds system standard. It condenses Panasonic's optical technology with highly-developed image rendering qualities that give you lifelike textures, crisp edge-to-edge contrast, a unique Nano surface coating that cuts out ghosting and flaring, and natural atmospheres with incredible transparency. 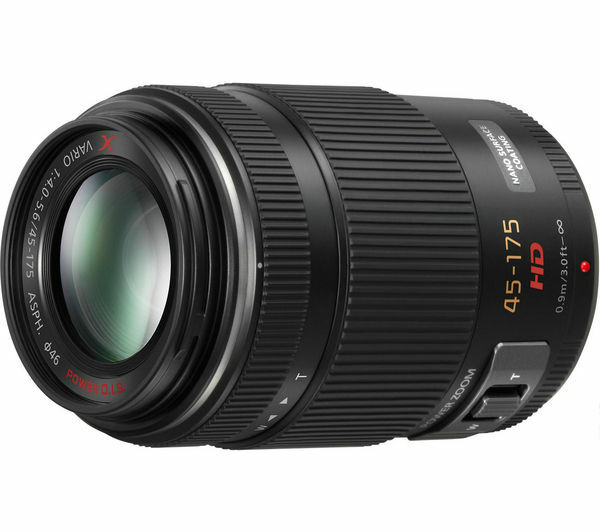 The H-PS45175E is an industry first, incorporating a multi-actuator floating inner focus system that controls 3 lens groups separately and allows for a smaller, lighter lens. 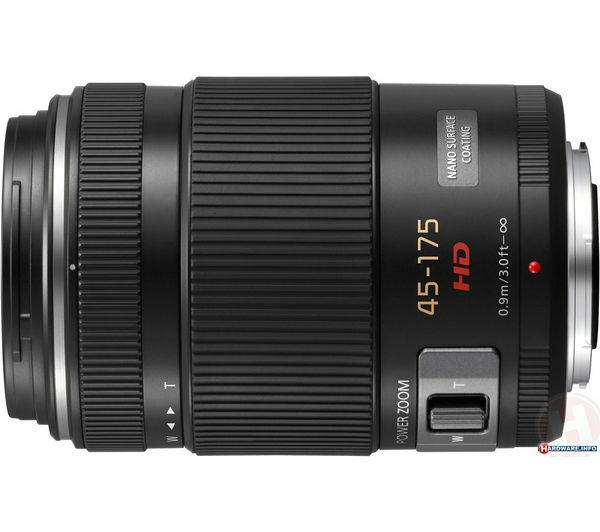 Your images will feature impressive levels of resolution and contrast across its 45-175mm zoom range, and the inclusion of 2 ED lenses minimises chromatic aberration. The Nano surface coating gives you incredibly clear images free of ghost and flare. The inner focus system provides remarkably smooth operation with its stepping motor and superior optical design. The lens features Light Speed auto-focus of around 0.15 / second for great, precise focusing when you need it most. It also offers faster aperture control and decreased shutter lag for outstanding response. Capture images of distant subjects that feel close and exhibit stunning clarity with the Panasonic LUMIX G X VARIO PZ 45-175 mm f/4-5.6 ASPH POWER O.I.S. Telephoto Zoom Lens.